At this time of year we like to take time to be thankful for what we have including our great clients and the opportunity we have everyday to do what we love. 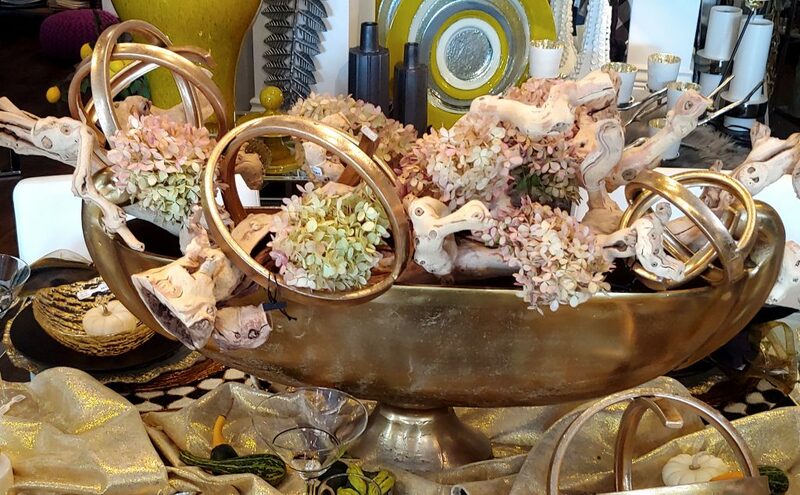 We reflect that the vignettes and tablescapes we enjoy pulling together are actually inspiration for your homes and when we say that we know that your home is more than just its contents. 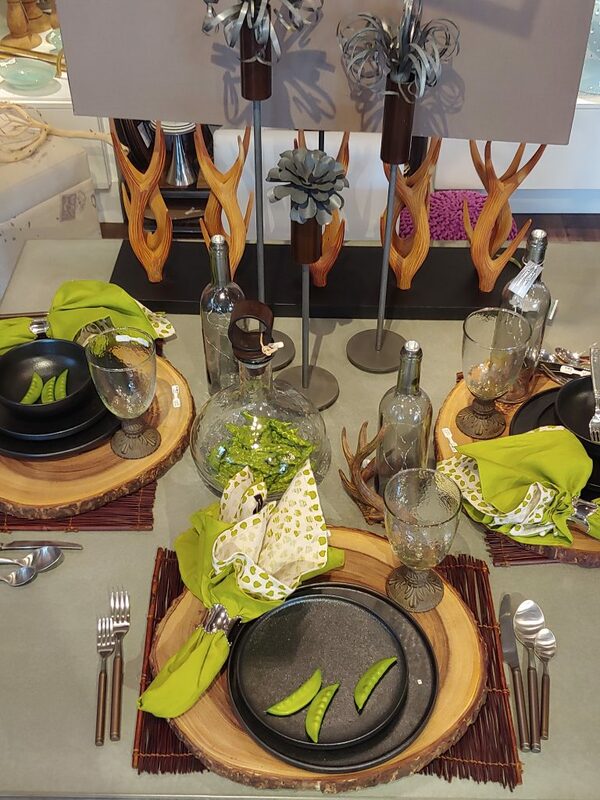 The centerpieces, furniture, dinnerware etc. are just the canvas for the celebrations, milestones, everyday gatherings and more of your family and friends. It means a lot to us that we get to play a small part in helping you set the stage for making all these memories in your home. Perhaps your next celebration is a Thanksgiving gathering and we have a few tips to spice up the season. Are you tired of orange pumpkins and fall leaves? 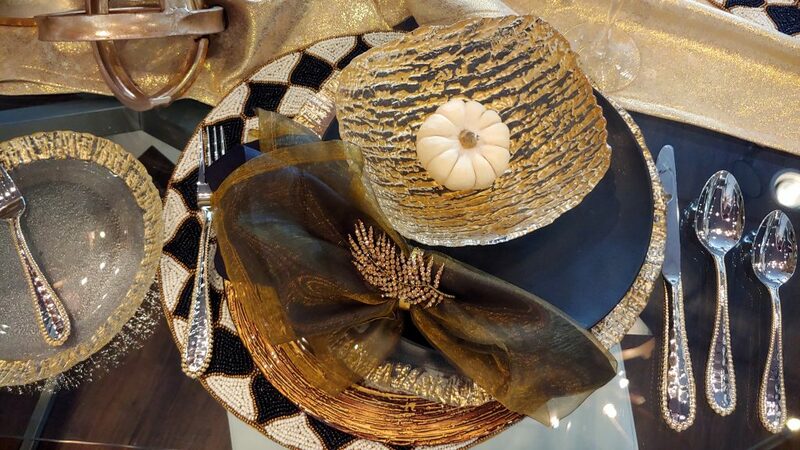 Just because it’s Thanksgiving does not mean you have to stick to an autumn color palate. 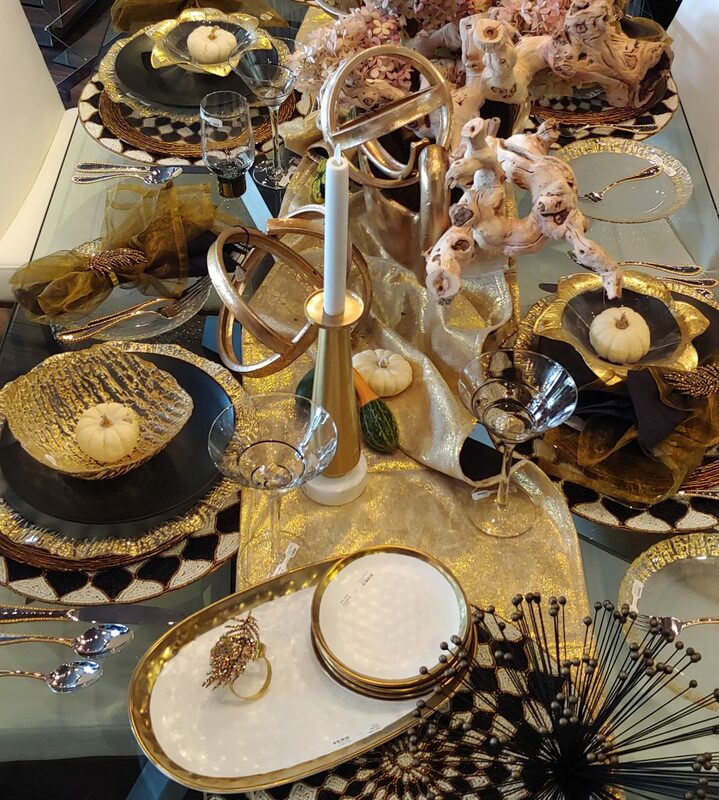 If you want a more modern look try black and gold or black and white accents which can add depth and interest to your table. Both look classy and sophisticated while still being festive. 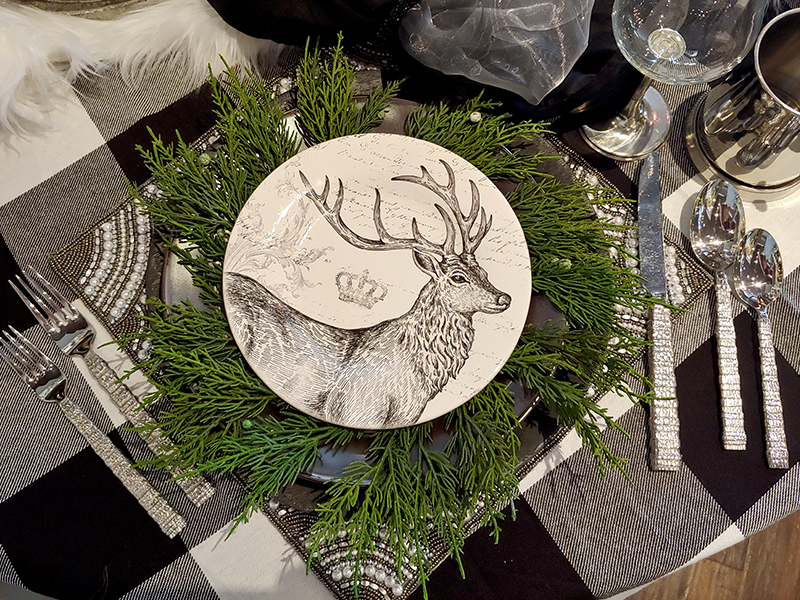 I think we have said this before , but we love to mix and match different dinnerware patterns to give the tablescape a more interesting and eclectic look. 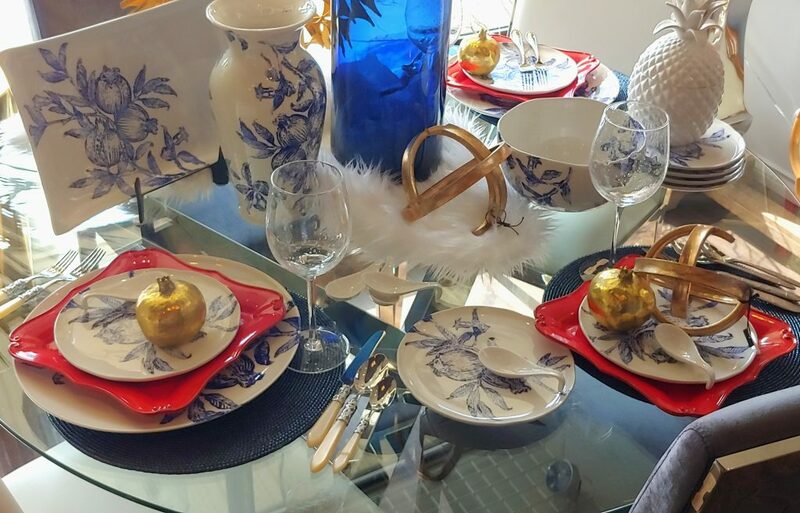 Besides, its Thanksgiving and perhaps you have a few extra guests so you may have to bring out more than one dinnerware set to accommodate everyone. Its a great excuse to bring out your favourites. 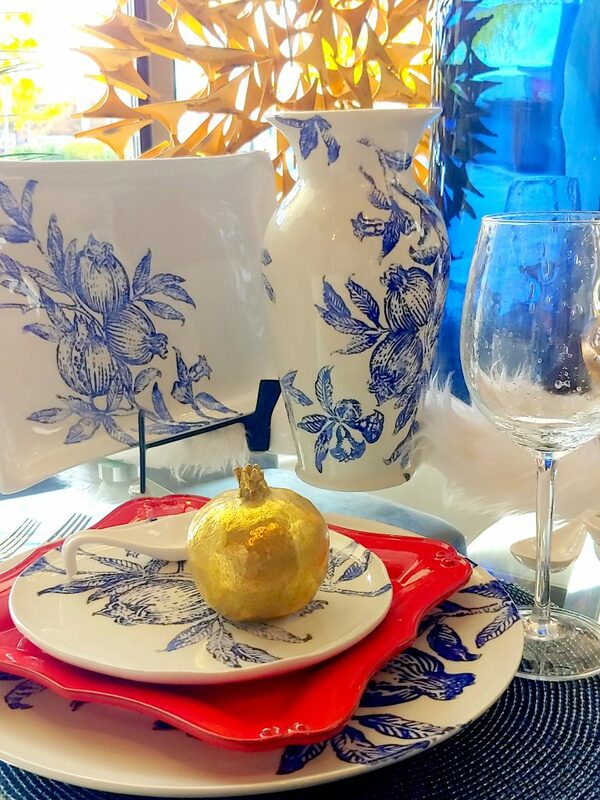 Be thankful you kept those traditional pieces to pair with your more modern pieces. It will make for an unexpected and stunning spread. Every good party includes a parting gift, so why should your Thanksgiving gathering be any different? 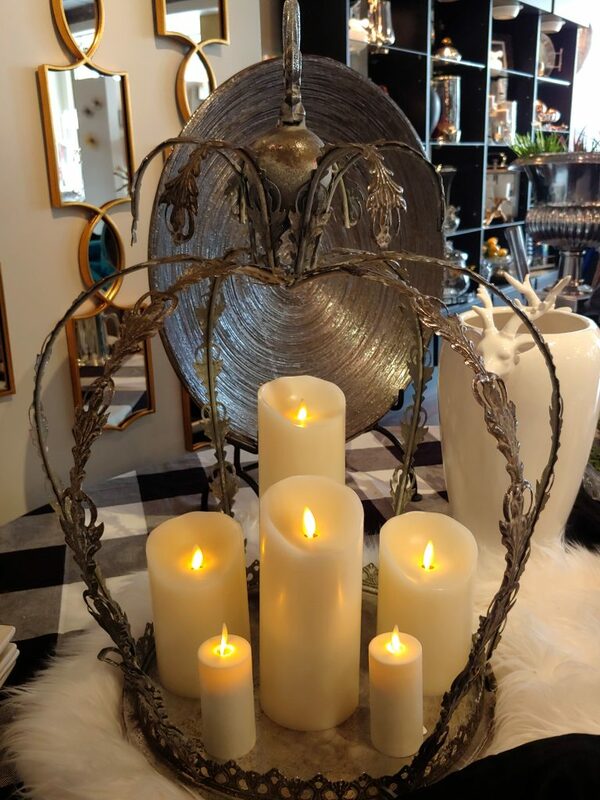 A nice way to thank your guests for coming is to choose something that reflects your personal style or something that shows that you really are thankful for them. Pick something you think they will love. How about a golden pomegranate? You could always personalize things by incorporating a name card with these items at each place setting. 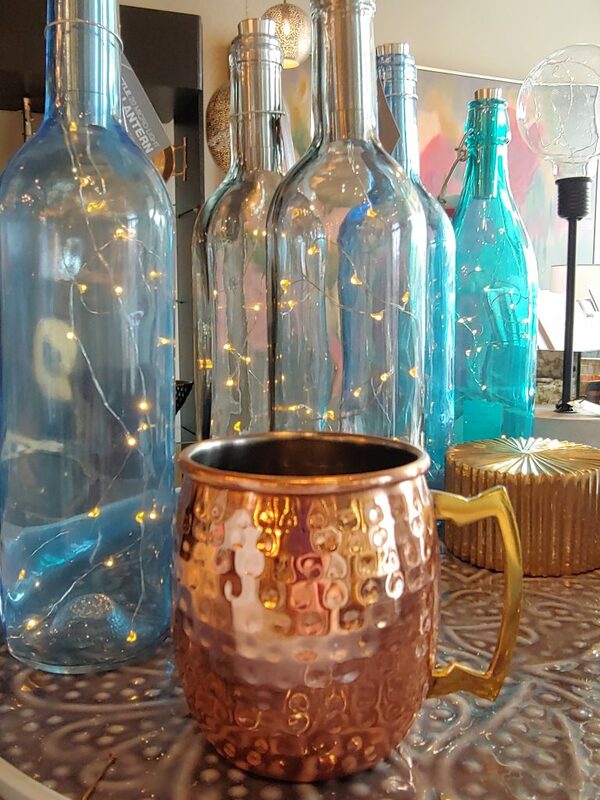 A fun way to celebrate the grape harvest might be to utilize the always popular wine bottle lights and nothing says cozy up and enjoy autumn like these copper Moscow mule mugs. They both make excellent gifts as well if you are attending a fall gathering this season. 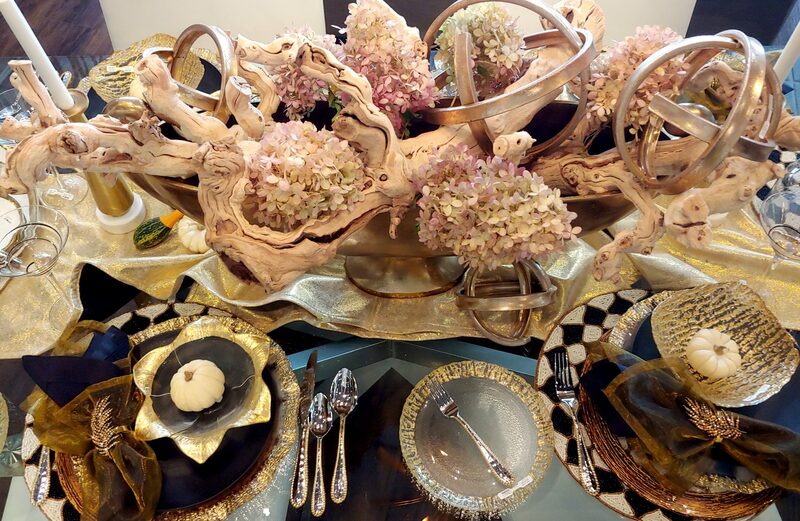 Don’t be afraid to be creative when it comes to designing a centrepiece. Pull things together that are opposites and play with different textures, colours, materials and shapes. Hey if you need a conversation starter this could be it. 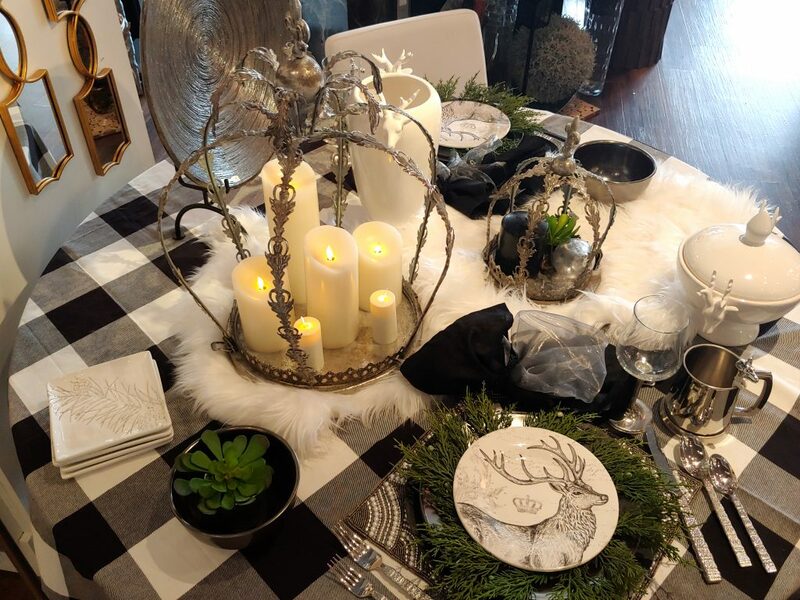 Your table is almost set, but don’t forget to give yourself credit for all that you have done to create this beautiful spread. Include all those little details that you love. 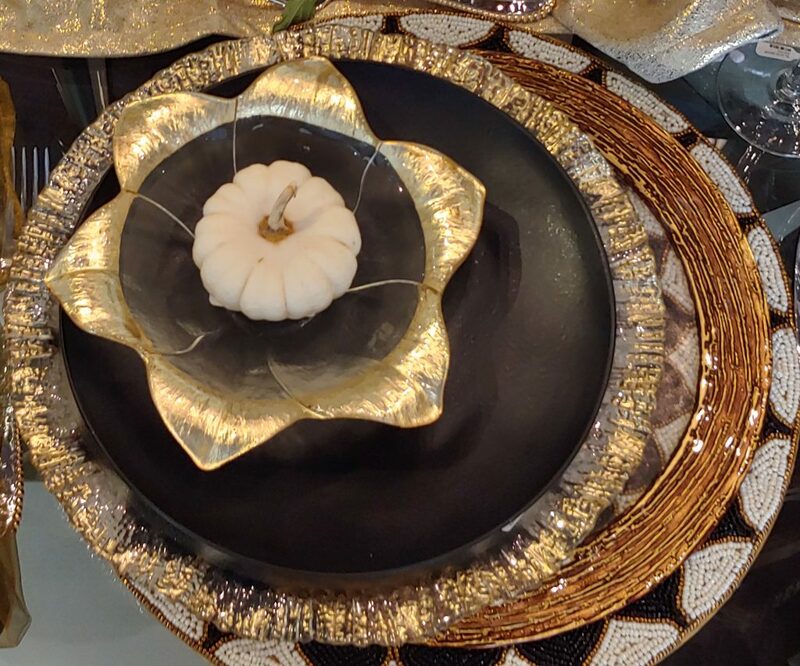 It is those favourite serving pieces, candlesticks, table linens, napkin rings and more that make your Thanksgiving table unique to you. Happy Thanksgiving from all or us at Modern Accents.